Fouad Ibrahim is a violinist and composer who came to England in 2002 from Iraqi Kurdistan. A graduate from the Institute of Fine Arts in Iraq. 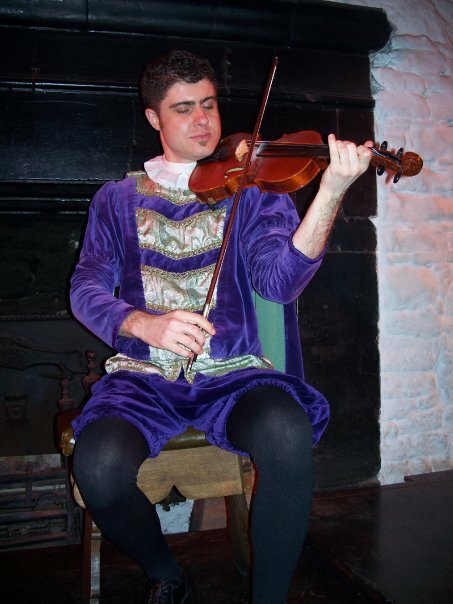 He has played along with numerous bands in England and The Republic Of Ireland, and has a wide range experience in playing classical, Middle Eastern, Klezmer, Eastern European, Bluegrass and Irish music. 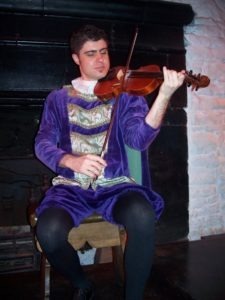 In 2005 he moved to The Republic Of Ireland and worked there in various musical areas, such teaching music to children and adults, conducting workshops to students who did Masters in Ritual chants & songs and Ethnomusicology at the University of Limerick-Ireland, also worked as a medieval musician for 3 seasons. He returned to England in 2010 and since then has been working with several musicians. Zirak Hamad is a violinist, Drummer and teacher who came to England in 2002 from Iraqi Kurdistan. A graduate from the institute of Fine Arts in Iraq, he has a wide range of artistic experience in his home country where he worked as a primary school teacher, festival organiser, broadcaster, television presenter and music critic. Zirak took part in the Sound it Out “Generation” training course in 2003, and has gone on to work as a freelance artist with Sound it Out community Music, PALS Arts and Media, Birmingham Music Services and Music for Change. He runs freelance Middle Eastern dance and music workshops for schools, community groups and Festivals in the UK and internationally. 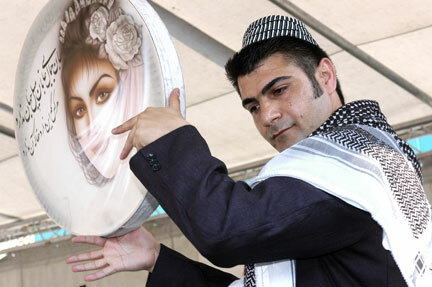 Zirak has also got his own band called Daholl Kurdish Ensemble. Daholl Kurdish Ensemble is a new arts company bringing together Kurdish artists living in the West Midlands, UK. The company aims to promote Kurdish culture in Britain through performances, workshops and educational projects. i want to say that Fouad & Zirak are a Great Kurdish musician, we attended the same Institute of fine arts/ Music department, and there talent show up from our 1st steps were they has closed to be a member in the institute music band, and we participated in the all musical festival in different cites in our Kurdistan Region. i’m glad that i heard these good words about you guys, wish you all the best all the time.